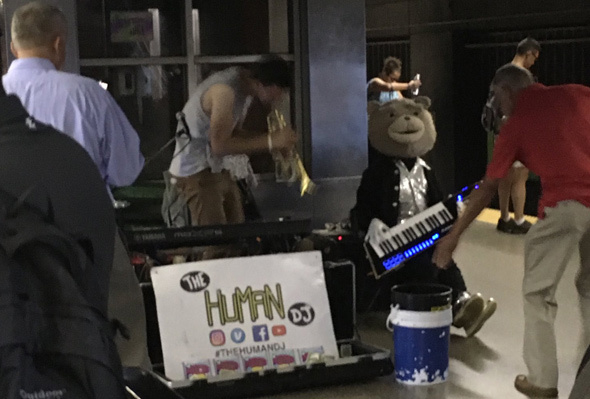 After recuperating from a May motorcycle wipeout, Keytar Bear is back. L Conley spotted him at Back Bay on the Orange Line. Loren McLean reports it was awesome to see him back: Read more.